12.12.2016 Now you can find Schomburg products in the product database on www.greenbuildingproducts.eu. The listed product contributes to fulfill credits in green building certification systems. With this Schomburg supports his clients for certification of buildings. Furthermore Schomburg provides the relevant product information to the proven sustainability criteria in a transparent way. 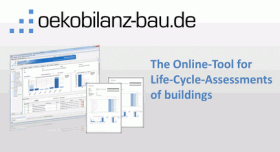 Therefore you can find standardised product declarations for download on www.greenbuildingproducts.eu. At a glance, information relevant to certification can be found, which can be used in the context of building certifications according to DGNB or LEED. This makes the investigation and documentation more efficient for planners, architects and construction companies. The products are below the LEED VOC limits and thus fulfill the requirements. The listed products contribute to achieve the LEED credit within IEQ Credit 4.1 “Adhesives & Sealants“, IEQ Credit 4.2 “Paints & Coatings“ and IEQ Credit 4.3 “Flooring Systems”. Some of the products are made from recycled materials. The listed products contribute to achieve the LEED credit within MR Credit “4 Recycled Content“. 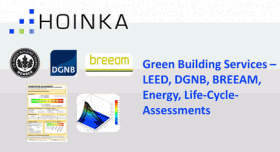 For some of the products exists an EPD which can be used for the calculation of the Life-Cycle Assessment of the building under MR Credit 1 “Building Life-Cycle Impact Reductions” / Option 4 “Whole-Building Life-Cycle Assessment”. For some of the products exists an industrywide EPD. The listed products contribute to achieve the LEED credit within MR Credit 2 “BPDO – Environmental Product Declarations”. Some of the products are made from recycled materials. The listed products contribute to achieve the LEED credit within MR Credit 3 „BPDO – Sourcing of Raw Materials“. The products are below the LEED VOC limits and thus fulfill the requirements. The listed products (Exception: ASOFLEX-AKB) contribute to achieve the LEED credit within IEQ Credit 4.1 “Adhesives & Sealants“, IEQ Credit 4.2 “Paints & Coatings“ and IEQ Credit 4.3 “Flooring Systems”. The products meet the requirements of action level 1 to 4. The products thus contribute to achieve up to 10 (of max. 10) criterion points within Criterion 06 “risks to the local environment”. (Exception: ASODUR-SG3-Superfast meets the requirements of the quality level 1 to 3). You can find further information about the products on www.schomburg.com. Plasticizers can harm humans and the environment; what are the DGNB system’s requirements?